I always learn something from your images, kk! I particularly like this version. Thanks, Steve. 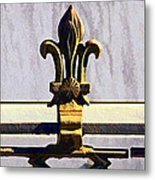 Yes it is important to know the why of the fleur de lis; otherwise, it is just decoration. It has a very long history. 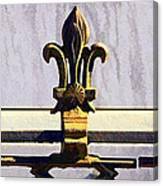 The fleur de lis, also fleur de lys, is the symbol of New Orleans and was the heraldic emblem of the kings of France. 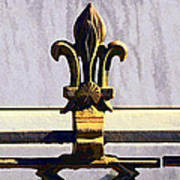 It is a three petaled lily, and in this photo it is made of wrought iron. I have included in my gallery several versions of this photo. This particular design is from a wrought iron fence in St. Louis I Cemetery in New Orleans.